At Florida Yoga Academy studio we teach authentic T.Krishnamacharya tradition yoga, which is known as therapeutic yoga with individual approach to student’s current health condition and needs. T. Krishnamacharya- the father of modern Yoga. 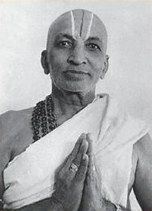 Professor Tirumalai Krishnamacharya (November 18, 1888 – February 28, 1989) was an Indian yoga teacher, ayurvedic healer, and scholar. Often referred to as “the father of modern yoga,” Krishnamacharya is widely regarded as one of the most influential yoga teachers of the 20th century and is credited with the revival of hatha yoga. 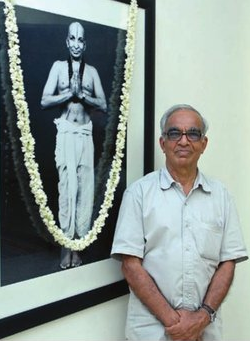 Tirumalai Krishnamacharya Venkata Desikachar (21 June 1938 – 8 August 2016), was a modern-day yoga teacher, whose father was the Indian yoga teacher, Tirumalai Krishnamacharya. In the West, there are several significant contemporary approaches to Hatha-Yoga, which are based on traditional teachings to varying degrees and which also utilize Yoga’s therapeutic potential. The most traditional orientation,[which goes by the modern generic name of the Viniyoga (application) of Yoga, is found in the school of Tirumalai Krishnamacharya (1888-1989) and his son T. K. V. Desikachar.